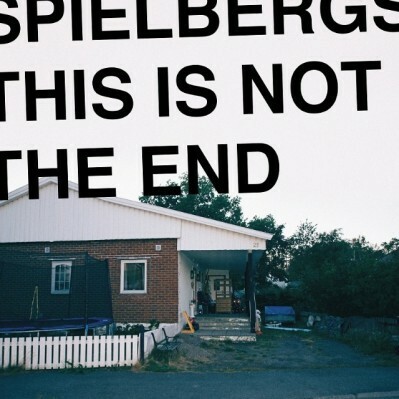 Debut album from Oslo trio ‘SPIELBERGS’ is a lush blend of Indie Rock and Garage. ‘This Is Not The End’ takes you on a fantastic voyage through a musical landscape, the sky’s drip with waterfalls of epic reverb, as a population of human like folk, walk the land with their rich melodic voices, washing over the planet, keeping their world living in perfect harmony; at the centre of the planet lies a giant rhythmical beating heart keeping their beautifully green, ever spinning sphere moving at the perfect speed. As the sun goes down and the stars sparkle like the eyes of distant gods, an eerie calmness floats through the distant planets atmosphere. Life is good , good is life. Now once you get the opportunity to listen to this record, read back the above description, a large glass of whisky in your hand, close your eyes and let ‘This Is Not The End’ wash over you body and soul. You will also be able to listen to the record on all your bestest streaming platforms on the same day. THE SPILL BULLETIN BOARD – SUNDAY Nov. 11th.